Pizza is a wonderful thing, but many pizza restaurants are pretty interchangeable. 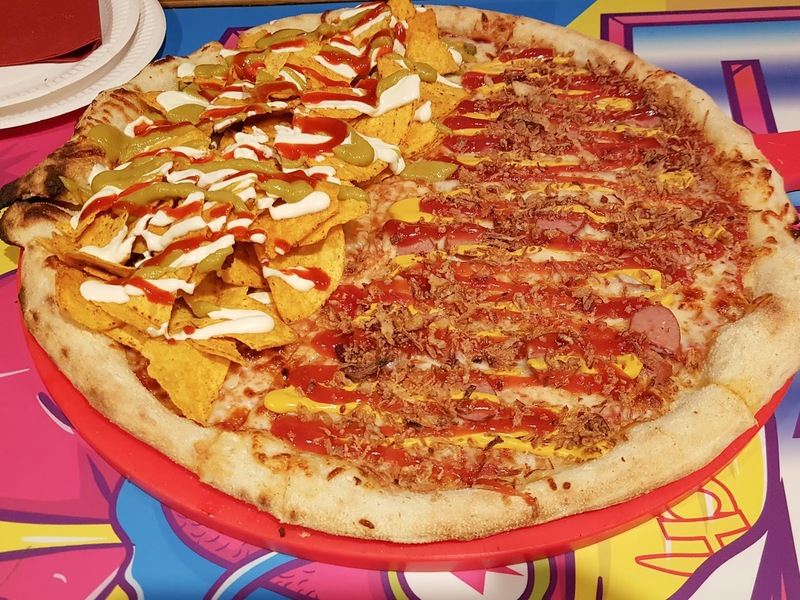 If you’re in Manchester and sick of the standard margheritas, pepperonis and Hawaiians, there’s only one place worth going to: Crazy Pedro’s. 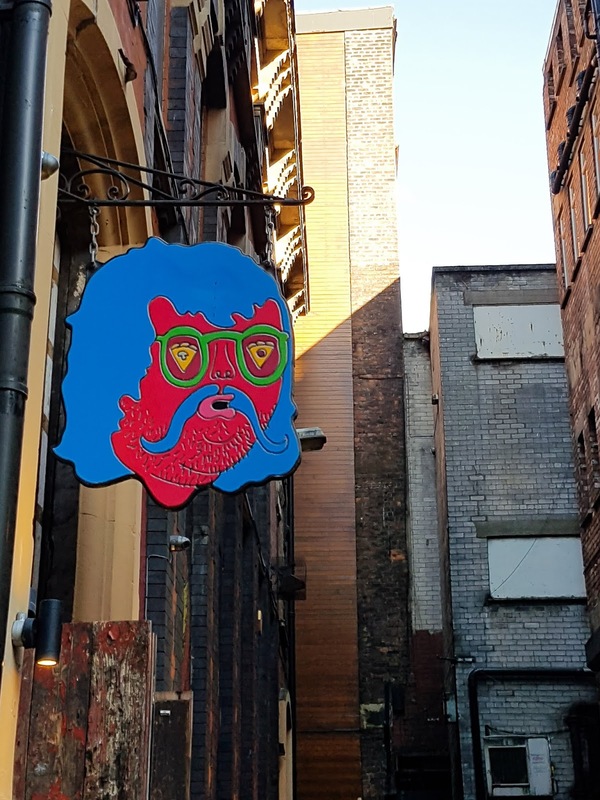 There’s a branch on Bridge Street overlooking a courtyard and another tucked down an alley just off Market Street, meaning you’re unlikely to be far if you’re in town shopping for the day, making it well worth venturing beyond Pizza Express and Bella Italia. 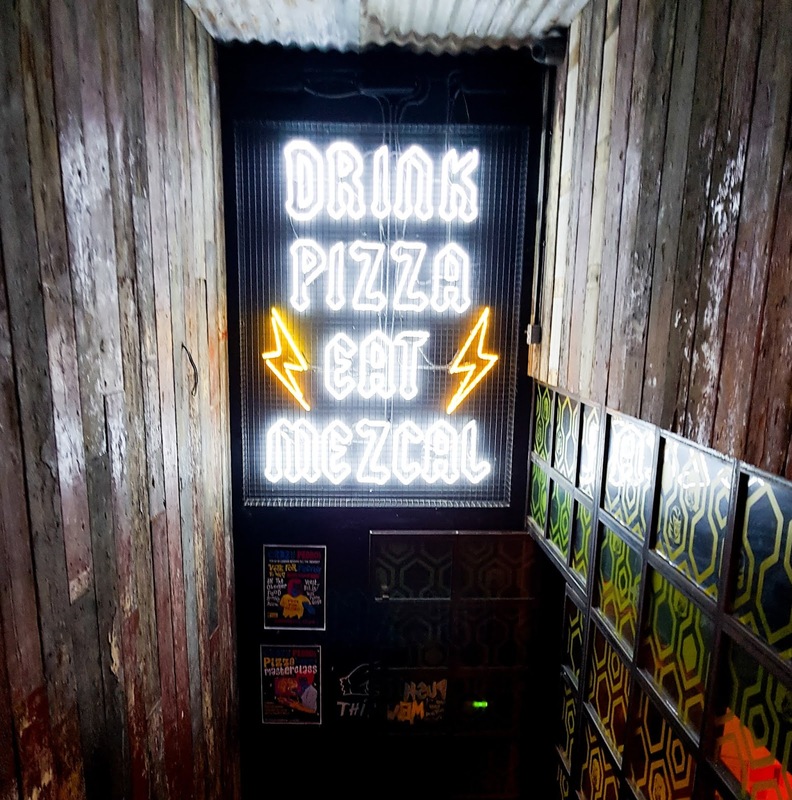 Emblazoned with the bright colours of Pedro himself, a Mexican wrestler with a glorious handlebar moustache, you won’t miss it. As you descend into the darkened interior, you’re assailed by the loud indie music that always seems to be playing. 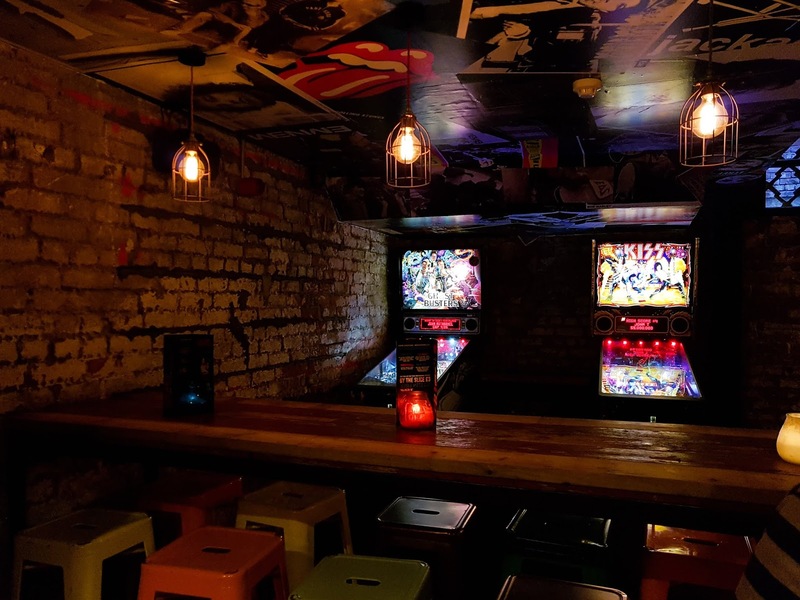 Perch yourself on the high tables before ordering at the bar, and you’ll find you’re surrounded by the usual NQ hipster crowd. Everyone is invariably friendly, and it’s a good place to go to get a little tipsy and fill up before a night out on the town. I’ve been a fan of Pedro’s for years, long before they opened their Northern Quarter branch. When I worked in retail on King Street I used to send hungry customers their way because honestly, the food is unreal. 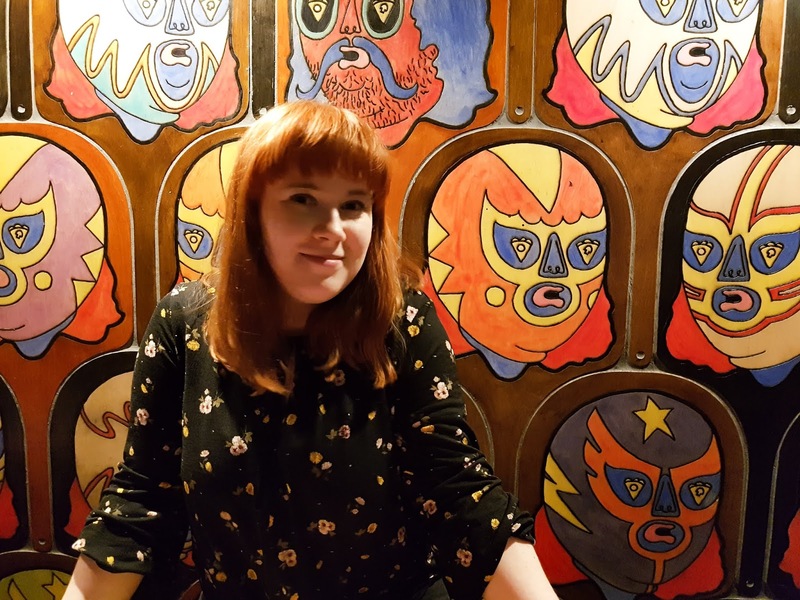 My personal favourite pizza is the Nacho Libre, because nachos on pizza is true genius. Chilli sauce, American cheese, jalapenos, tortilla chips, guacamole, sour cream and pico de gallo is a wonderful combination at the best of times, but stick them on a pizza and I’m in heaven. 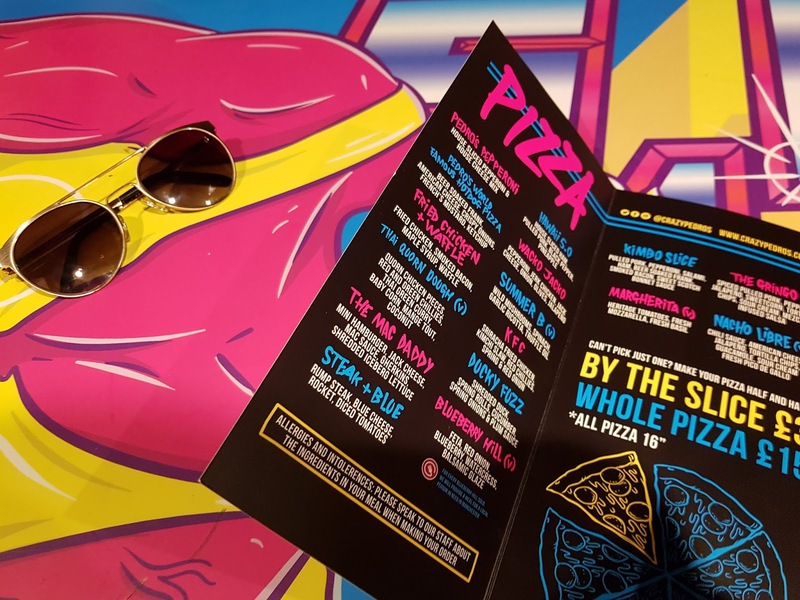 Other popular pizzas include the Mac Daddy (another favourite, it tastes exactly like a Big Mac); Pedro’s World Famous Hotdog Pizza; Fried Chicken and Waffle; and Kimbo Slice. For the traditional amongt you, they have a couple of standard pizzas (Pedro’s Pepperoni, Hawaii 5.0 and a Margherita). They also have specials which are invariably bonkers. All pizzas are 16″ and cost £16, and there are a daily selection of pizzas available at £3 a slice. The pizzas are of the “floppier” variety, which my boyfriend isn’t the biggest fan of, something which I despair of as it means my visits to Pedro’s have been reduced considerably compared to when I lived alone. It could be argued that it’s better to order in via Deliveroo as you can be slightly less embarrassed as you eat your very messy pizza. I’d recommend using the “roll” technique, where you roll the slice inwards from the point until you have a kind of pizza roll, which is much easier to eat and means you don’t get sour cream all down your top. Pedro’s also serves nachos, available in large and ridiculous, the latter being literally served in a dustbin lid. The cocktails are great as well, and you could easily go just for those before heading elsewhere. The most important thing to note is Happy Hour, which is 5 to 9 Sunday to Friday, which means £10 pizza, £2 a slice and cocktails at two for a tenner rather than the usual £8. Perfect for the pre-night out carb-loading, or post-night out hangover carb-loading for that matter.